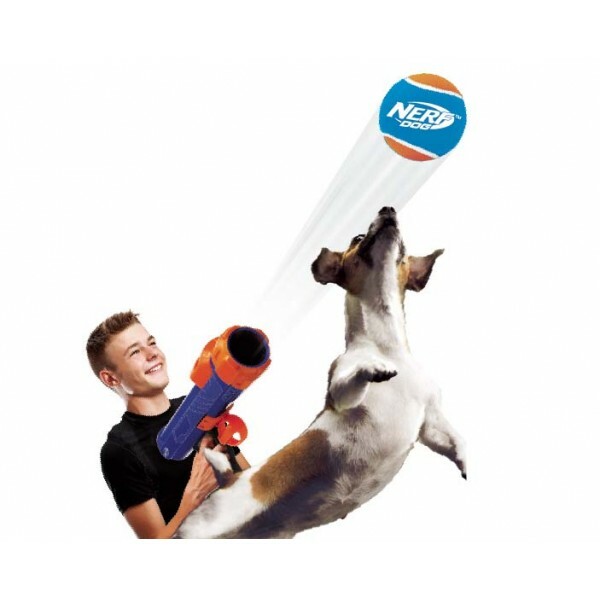 Take aim with the new Nerf Dog Tennis Ball Blaster! The much loved Nerf Dog Tennis Ball Blaster has been redesigned with the same high-powered blasting action but with a fresh new look! Fire your blaster to launch your dog's favourite fetching tennis ball high into the air while reducing the amount of wear and tear on your shoulder. When your dog brings it back, stay in the game by placing the barrel on the tennis ball and pick it up “hands-free” meaning there's no need to touch a wet slobbery ball. 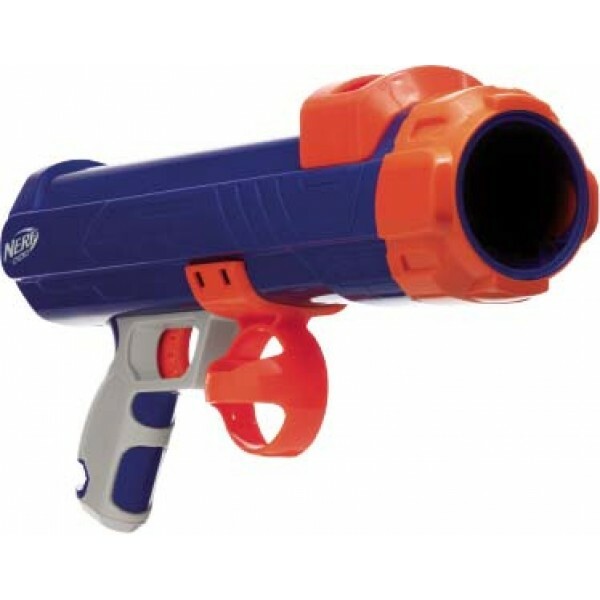 Unlike other brands of tennis ball launchers, the Nerf Dog blaster's mechanism is safe for your hands with no external moving parts when the blaster is fired. Energy and excitement for your dog, and safe control for you. 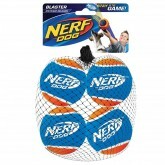 The Nerf Dog Tennis Ball Blaster is the perfect outdoor family toy for you and your Dog, ensuring you have a fun filled playtime with plenty of exercise! 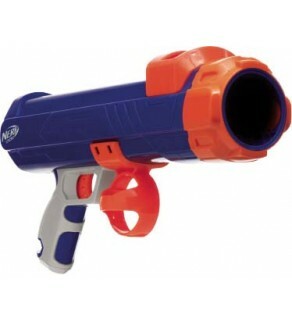 That's why it's Nerf or Nothin'! Designed with a safety release mechanism with no moving external parts when firing.